The weather outside may be frightful, but these sweet treats make everything delightful. Crunchy graham crackers and minty mini marshmallows cuddle under a blanket of rich dark chocolate. 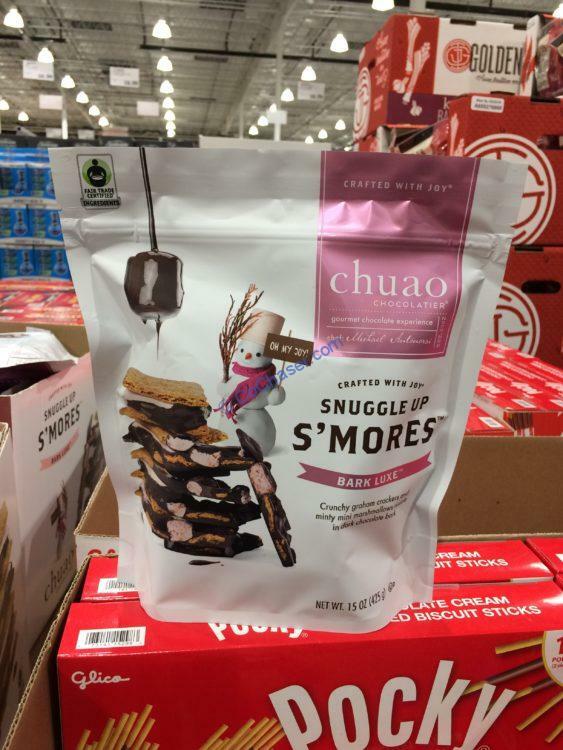 Get cozy and watch the snow fall with Snuggle Up S’mores! As one the newest holiday bars, Snuggle Up S’mores is a fan favorite. Per serving size 1.4 oz (40g), contains 190 calories, 110 from fat. For each serving, you get 12g total fat, 7g from Saturated fat, 2g protein, 3g fiber and 17g sugars.